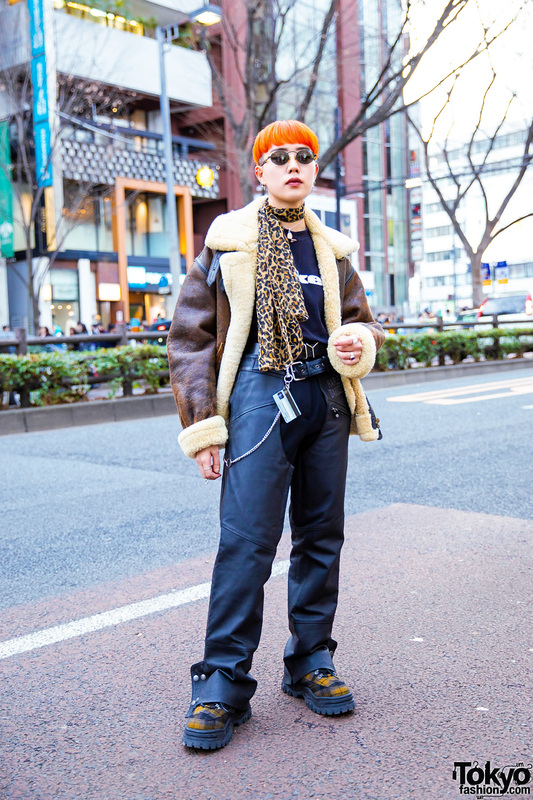 Japanese student wearing a graphic print sweater, two belts, and two-tone jeans in Harajuku. 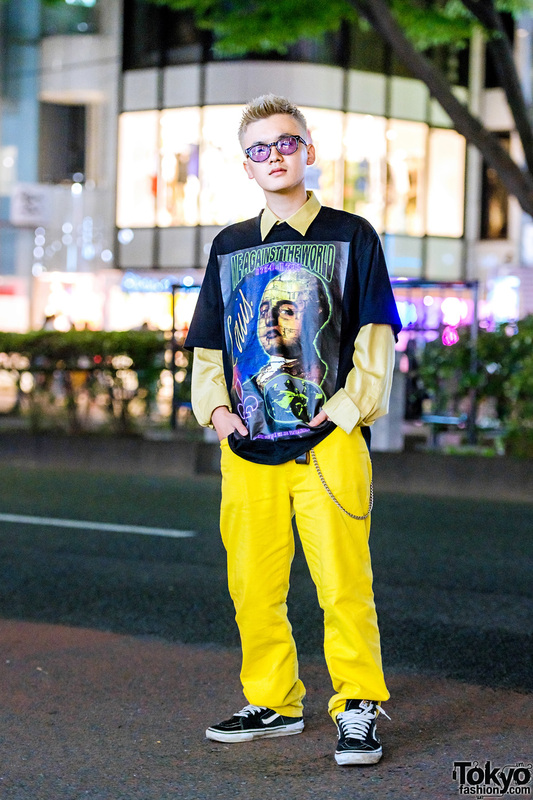 Blonde-haired Harajuku guy sporting a black-and-yellow casual preppy look while out and about on the street one fine evening. 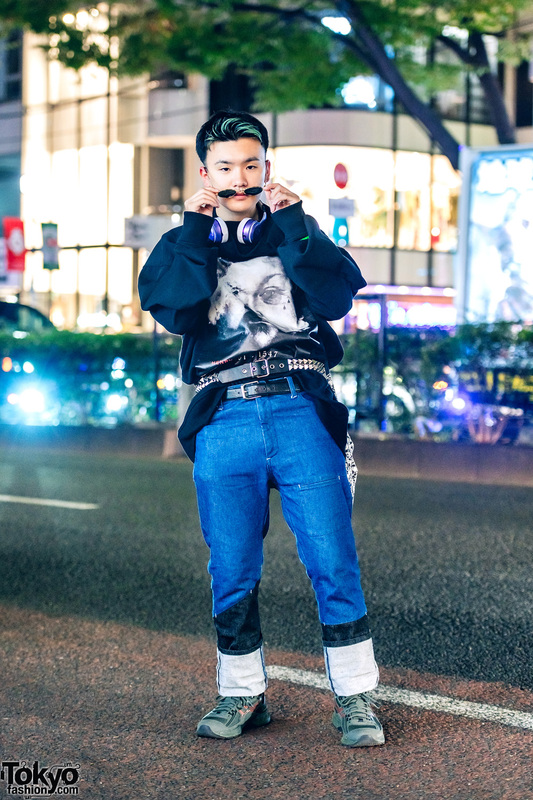 Japanese retail worker showcasing vintage streetwear in Harajuku.